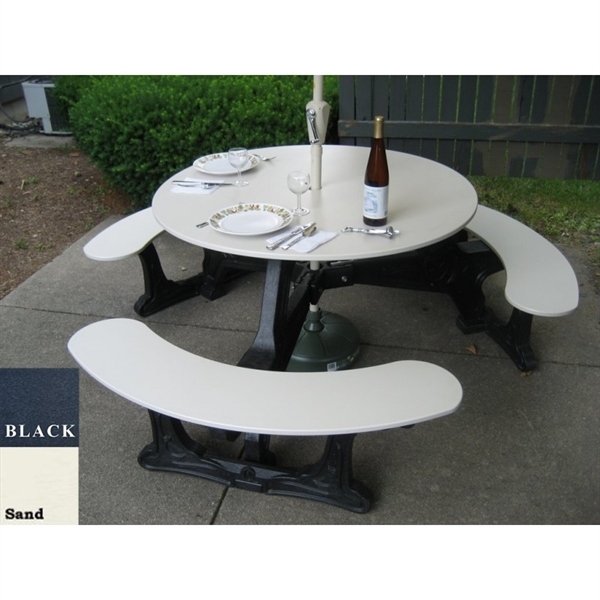 Recycled Plastic Round Picnic Table with 45 3/4" Top, 155 lbs. This Bodega recycled plastic picnic table features a 46” round top with a 2” diameter umbrella hole. Easy access and easy to clean. Recycled plastic picnic tables are low maintenance and will last in a commercial environment for many years. This is an excellent picnic table for a park or pool in homeowners association community. 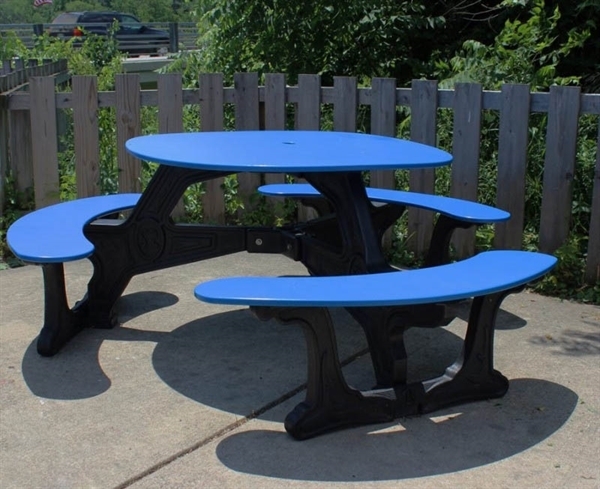 Our recycled plastic picnic tables are commercial grade and do not require to be stained or painted.